This spring, we added a pond to our front flower bed. I really don't know much about them and am learning as I go. So, right now it's a nasty shade of green. 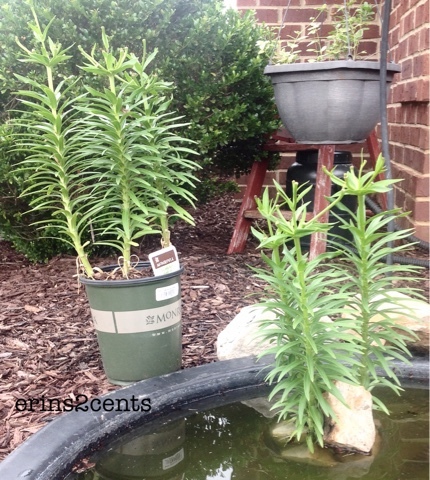 I have learned that adding plants helps with the algae and that I can add regular lilies right into the pond. I happened to find two of them this morning for $1 each. If they die, I won't feel like I wasted too much money! That's a good thing, because when I tried to add one, it just wanted to float to the top. (You can see the pile of rocks I used to make it stay down!) I guess that's my next research project on the pond. 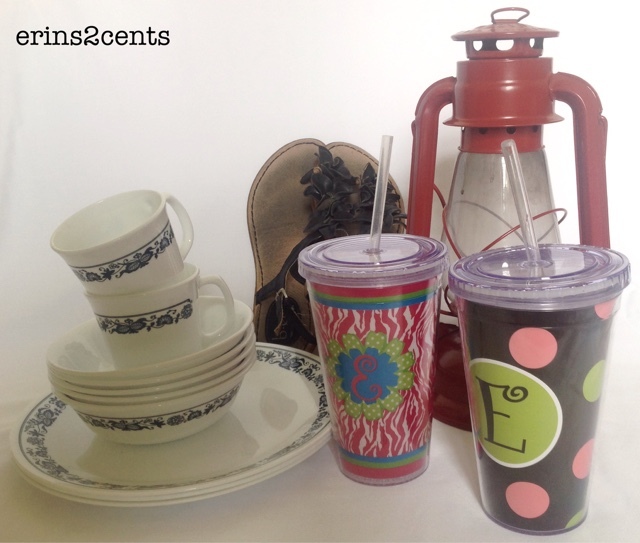 I also found some other great things: dishes, some cute sandals that I probably don't need, two cups with E's on them, and a lantern. I have been trying to find dishes to mix and match for awhile now. I've looked at yard sales, flea markets, and thrift stores but just haven't found the right thing. I really didn't know what I wanted until I saw this set today. I want something nice, but if the boys break it, I won't be heartbroken. I can just go out and find another one to add to the collection. Hopefully, I will get lucky enough to find more that coordinate so I can get them into our kitchen. I have also been looking for lanterns forever. No one wants to sell them for a price I'm willing to pay! This one is newer, and it actually works. Once I do find some antique lanterns, it will mix right in. It can also give some nice ambiance lighting! What great things did you find this weekend? 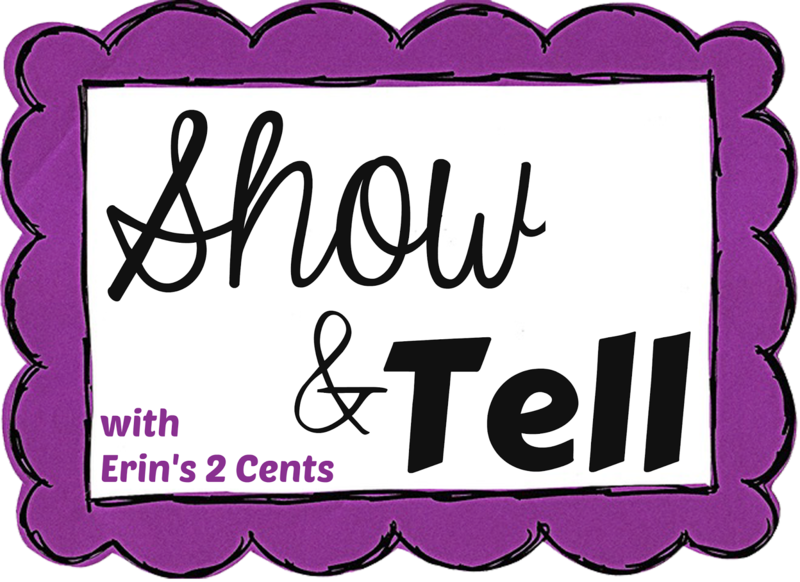 I love show and tell! !